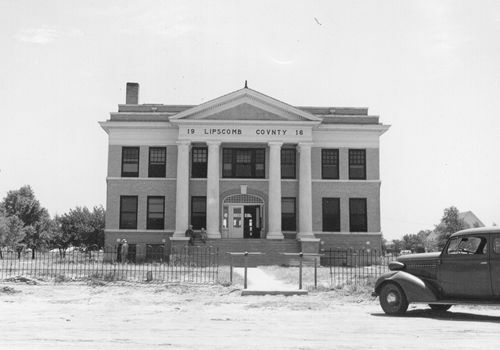 Lipscomb County Courthouse, Lipscomb Texas. 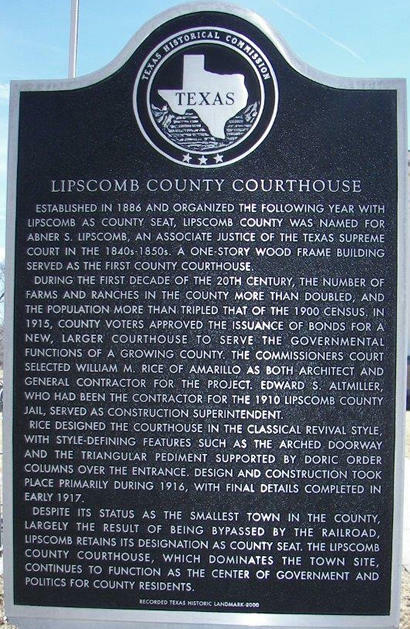 Established in 1886 and organized the following year with Lipscomb as county seat, Lipscomb County was named for Abner S. Lipscomb, an associate justice of the Texas Supreme Court in the 1840s-1850s. 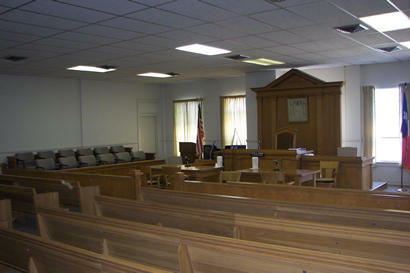 A one-story wood frame building served as the first county courthouse. During the first decade of the 20th century, the number of farms and ranches in the county more than doubled, and the population more than tripled that of the 1900 census. In 1915, county voters approved the issuance of bonds for a new, larger courthouse to serve the governmental functions of a growing county. 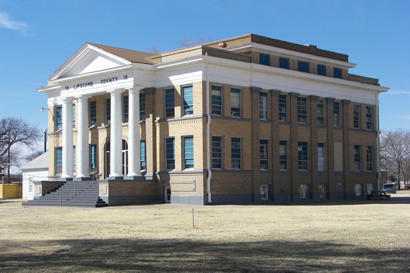 The commissioners court selected William M. Rice of Amarillo as both architect and general contractor for the project. 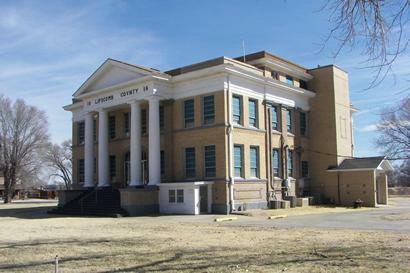 Edward S. Altmiller, who had been the contractor for the 1910 Lipscomb County jail, served as construction superintendent. Rice designed the courthouse in the Classical Revival style, with style-defining features such as the arched doorway and the triangular pediment supported by Doric order columns over the entrance. Design and construction took place primarily during 1916, with final details completed in early 1917. 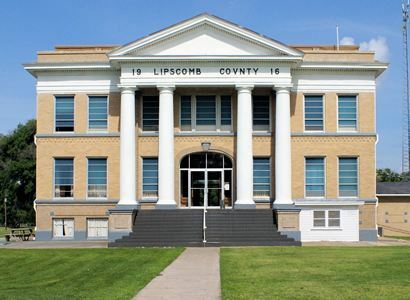 Despite its status as the smallest town in the county, largely the result of being bypassed by the railroad, Lipscomb retains its designation as county seat. 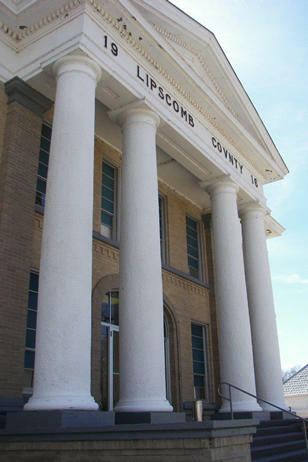 The Lipscomb County courthouse, which dominates the town site, continues to function as the center of government and politics for county residents. SW corner of the courthouse showing the elevator shaft that was later attached to the courthouse. 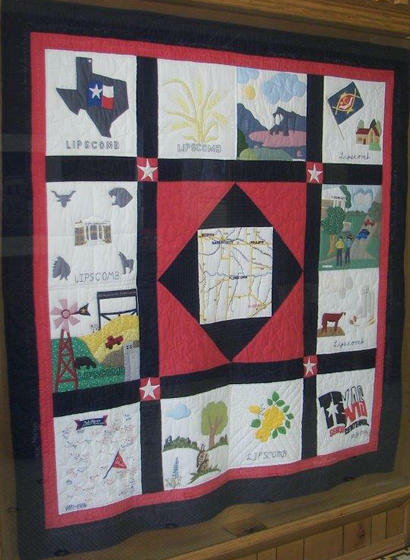 Quilt celebrating Lipscomb County, hanging at the courthouse west entrance.